Radomir Spok is the executive director of Europeum - Institute for European Policy. He is responsible for financial management of the organization and leads projects focused on educational and research activities.He deals with the broader aspects of the European Union with a focus on EU Regional Policy. In the past he worked as editor-in chief of the magazine Integrace. 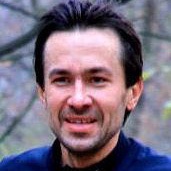 Radomir graduated from the Faculty of Law at Charles University, and continued his studies at the Institute of International Studies in the Faculty of Social Sciences at Charles University. Apart from his position in Europeum, Radomir works as an independent evaluator of both projects and programmes with a focus on non-governmental organizations. He is a member of the committee for the EU on the Government Council for Non-Governmental Non-Profit Organisations. He is also Executive Director of the United World Colleges Czech National Committee.